Situated in the city center, this houseboat is close to Mike O'Callaghan Pat Tillman Memorial Bridge and Hoover Dam. Area attractions also include Hemenway Park and Wilbur Square Park. 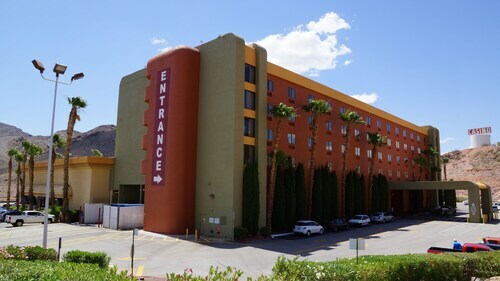 Situated near the airport, this hotel is within 6 mi (10 km) of Mike O'Callaghan Pat Tillman Memorial Bridge, Hoover Dam, and Hemenway Park. Wilbur Square Park and Grace Community Church are also within 6 mi (10 km). 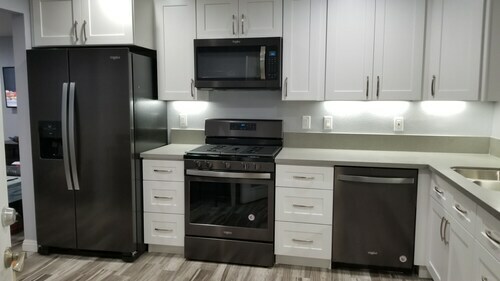 This family-friendly Boulder City apartment building is within 2 mi (3 km) of Hemenway Park and Wilbur Square Park. Grace Community Church and Boulder City Hoover Dam Museum are also within 3 mi (5 km). Nestled on the beach, this Boulder City property is within 3 mi (5 km) of Hemenway Park, Wilbur Square Park, and Bootleg Canyon Mountain Bike Park. Grace Community Church and Boulder City Hoover Dam Museum are also within 3 mi (5 km). 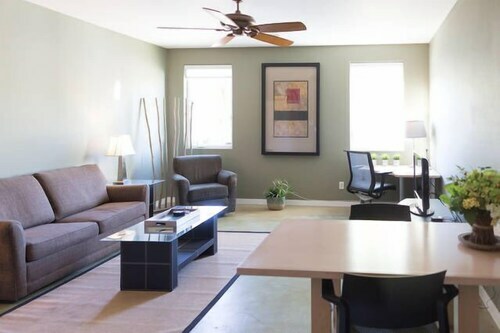 Located in the heart of Boulder City, this hotel is within 2 mi (3 km) of Hemenway Park, Wilbur Square Park, and Grace Community Church. Boulder City Hoover Dam Museum and Bootleg Canyon Mountain Bike Park are also within 3 mi (5 km). 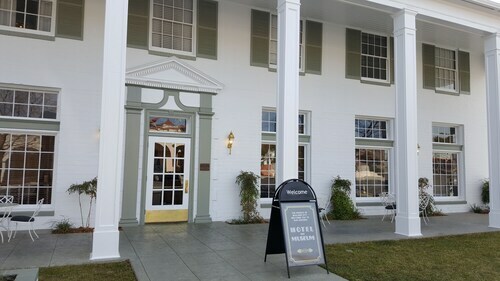 Situated in Boulder City, this inn is within a 5-minute walk of Wilbur Square Park and Boulder City Hoover Dam Museum. Grace Community Church and Nevada State Railroad Museum are also within 2 mi (3 km). 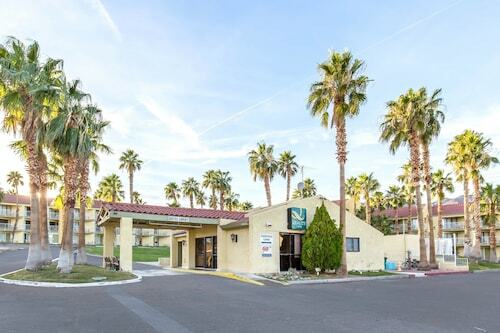 Located in the heart of Boulder City, this hotel is within a 5-minute walk of Boulder City Hoover Dam Museum, Grace Community Church, and Wilbur Square Park. Nevada State Railroad Museum and Boulder City Golf Course are also within 2 mi (3 km). 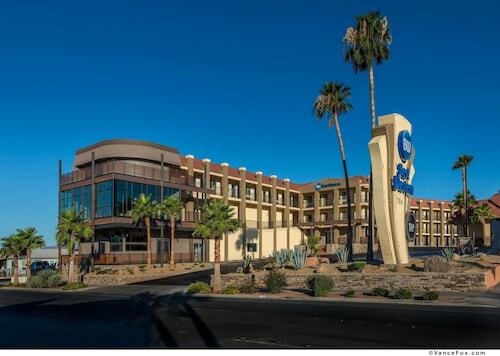 Located in the heart of Boulder City, this hotel is within a 10-minute walk of Boulder City Hoover Dam Museum and Grace Community Church. Wilbur Square Park and Nevada State Railroad Museum are also within 1 mi (2 km). 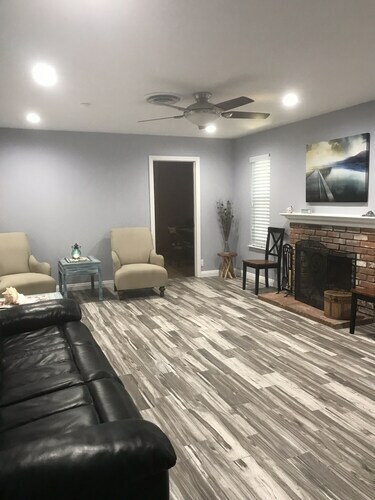 Situated in Boulder City, this historic vacation home is within 1 mi (2 km) of Boulder City Hoover Dam Museum, Wilbur Square Park, and Grace Community Church. Bootleg Canyon Mountain Bike Park and Nevada State Railroad Museum are also within 2 mi (3 km). 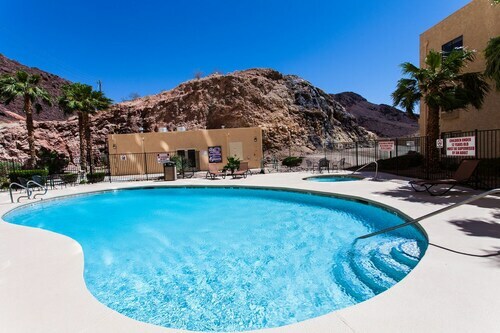 Situated in Boulder City, this vacation home is within a 15-minute walk of Grace Community Church and Boulder City Hoover Dam Museum. Wilbur Square Park and Boulder City Golf Course are also within 1 mi (2 km). 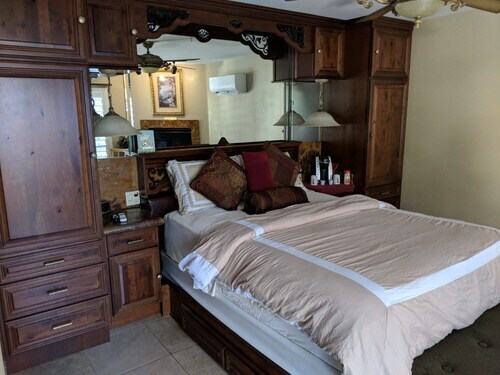 Situated in Boulder City, this vacation home is within 1 mi (2 km) of Boulder City Golf Course, Nevada State Railroad Museum, and Grace Community Church. Boulder City Hoover Dam Museum and Boulder Creek Golf Club are also within 1 mi (2 km). Situated in Henderson, this hotel is within 6 mi (10 km) of Cascata Golf Course, Nevada State Railroad Museum, and Boulder Creek Golf Club. Bootleg Canyon Mountain Bike Park and Clark County Museum are also within 6 mi (10 km). Your journey to Hoover Dam will no doubt become permanently ingrained in your mind. 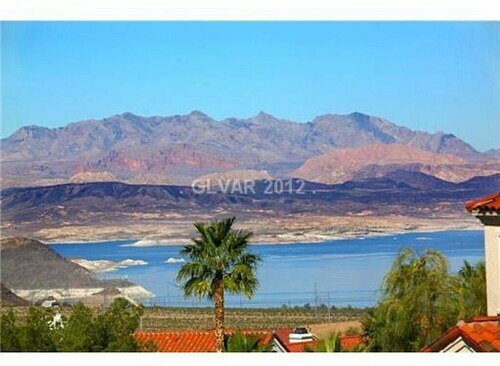 You can visit it in Las Vegas, a lively city which features a good variety of must-see sights. Accommodation options nearby are scarce, with just 1 hotel to rest your head at. The Hoover Dam Lodge is 3 miles (5 kilometers) away from Hoover Dam. When that afternoon slump hits, get your energy back with a coffee at Hoover Dam Cafe (U.S. 93, Boulder City), just 0.2 miles (0.3 kilometers) away. Eye-catching and of contemporary design, Mike O'Callaghan-Pat Tillman Memorial Bridge is now a popular tourist attraction in the region. Make sure you bring your camera and take a few pictures during your visit. Stand a few paces back and take pleasure in the sleek, modern lines of Mike O'Callaghan Pat Tillman Memorial Bridge, a bridge which is an attraction on its own. Go to see Liberty Bell Arch, an eye-catching feature of the local landscape. Get back to nature with a stroll up Fortification Hill, a popular spot that the whole family will enjoy. Explore facets of the past and enjoy a fun day out with a tour of Hoover Dam Museum. How Much is a Hotel Room in Hoover Dam? Hotels in Hoover Dam start at $51 per night. Prices and availability subject to change. Additional terms may apply.